I haven’t had much luck at garage sales this summer, though I’ve been to quite a few. Instead, I’ve been scoring my finds at resale shops. 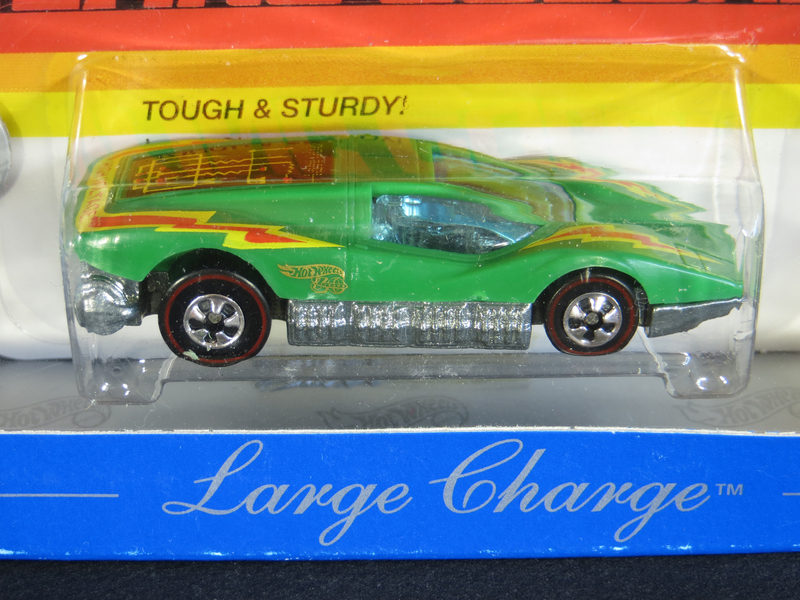 I found these Hot Wheels 30th Anniversary replicas at one of those stores that specializes in pre-owned children’s clothing and toys. The outer boxes are a little beat up, but the unopened blister packs inside are in good shape. 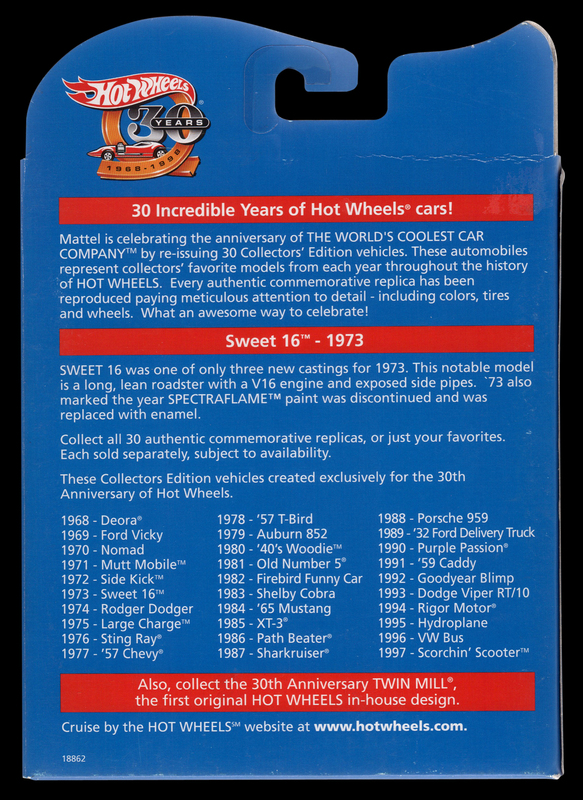 In 1998, celebrating 30 years of production, Mattel created these replicas of the cars in their original packages which were said to “represent collectors’ favorite models” – one from each year of Hot Wheels history. 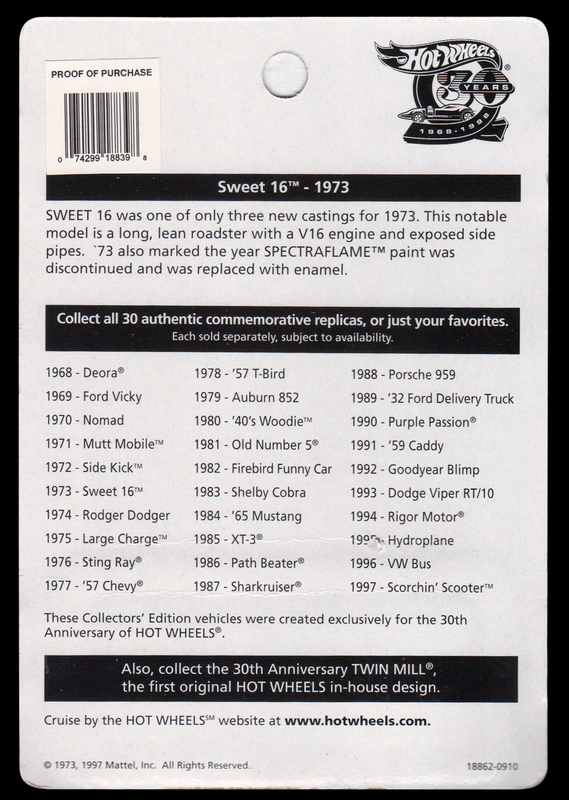 Below you can find a scan of the back of the outer box, which lists each casting that was chosen to represent each year. 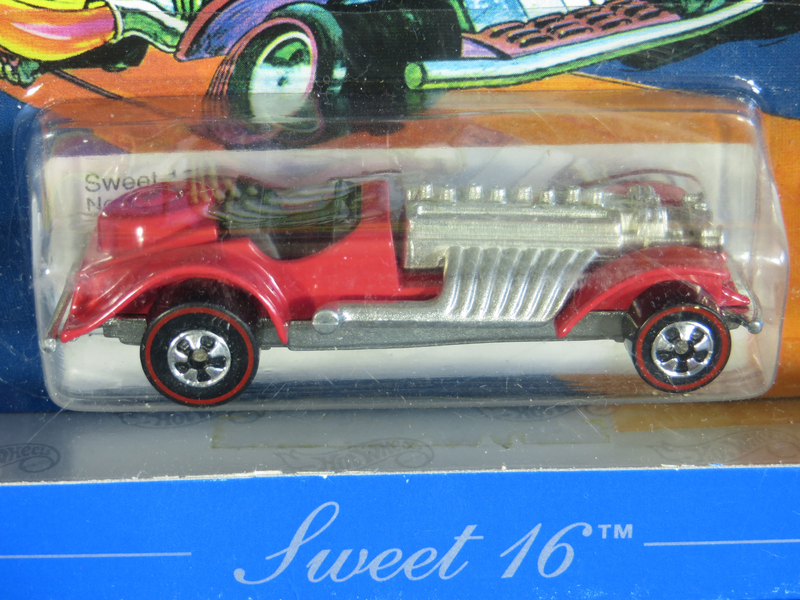 Prior to 1998, Sweet 16 had only been released once – in 1973. 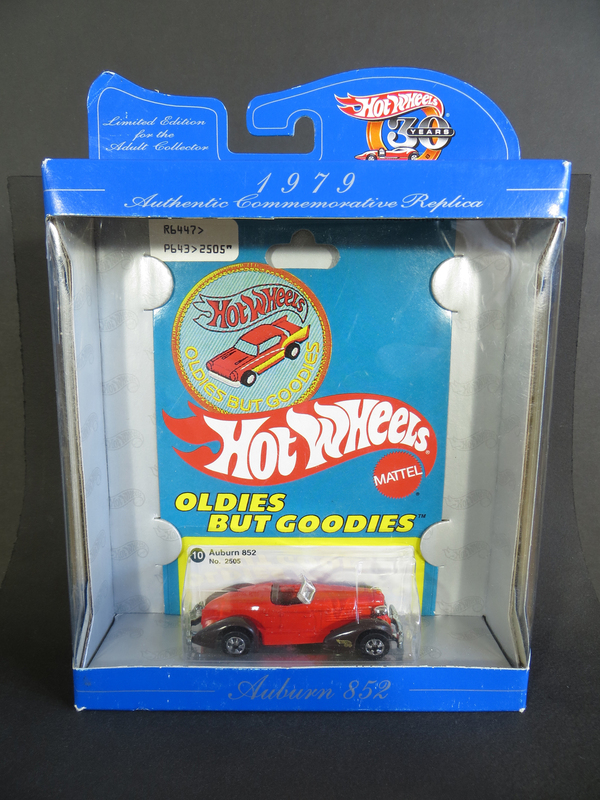 Finding an original in mint condition can set you back a few hundred dollars. 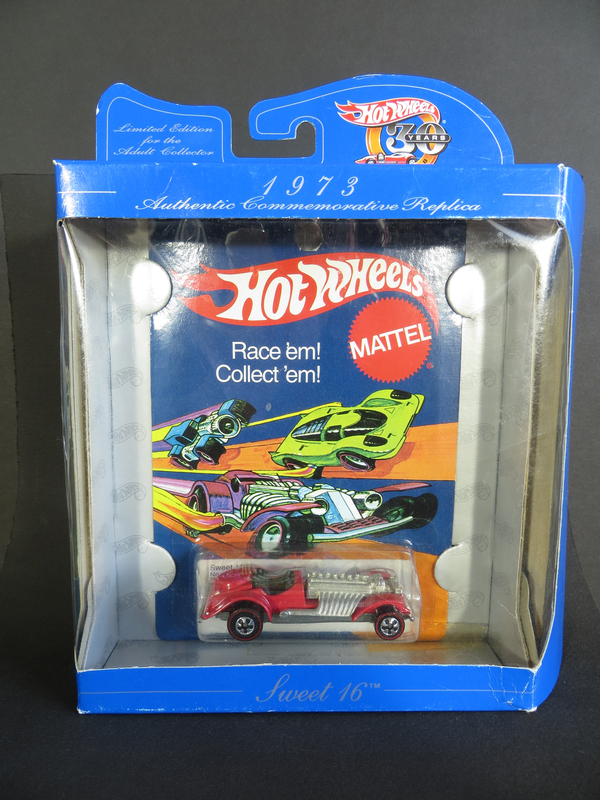 This retool, of course, is worth considerably less, but still a fun find. Large Charge is nowhere near as rare. 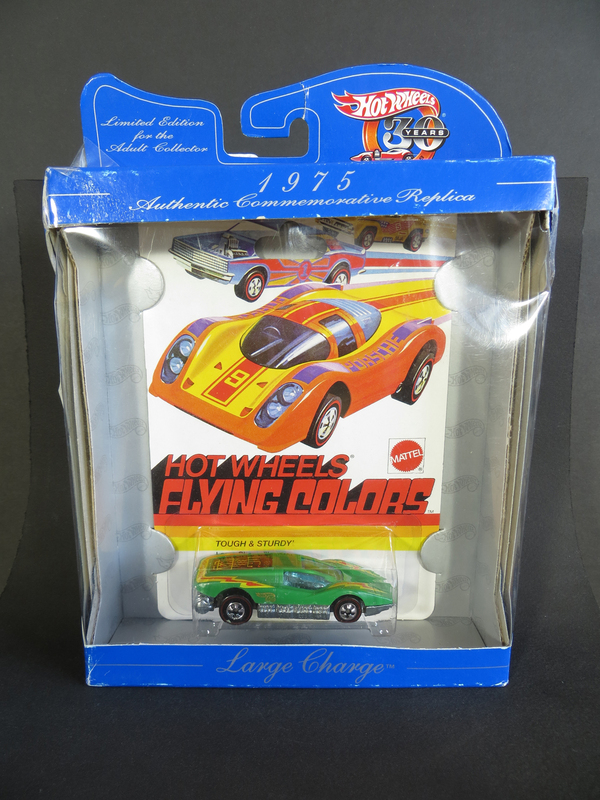 After its first release in 1975, it was produced in more than 30 variations (sometimes called Silver Bullet or Aeroflash) up until as recently as 2011. 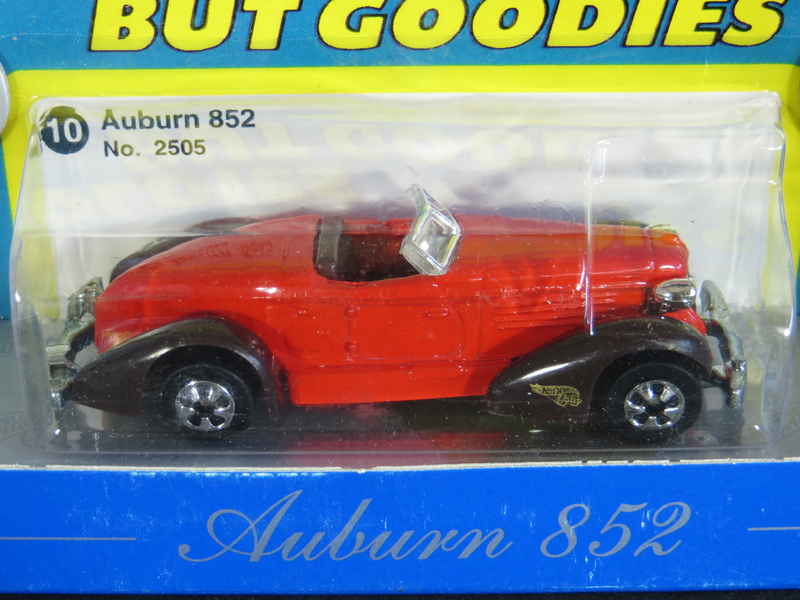 Auburn 852 is another popular casting which first appeared in 1979. I have one of the original first casting, as well as a few other variations. Will you be opening the outer box to see what’s inside? If so, could you check out what the difference in packaging is for the inner box? For example, does the inner box have any markings that state that it is a replica (say, a copyright date of 1998)? Hi Joel! I added a scan of the back of the card to the bottom of the post. You can see the back of the card is clearly a 30th Anniversary version. 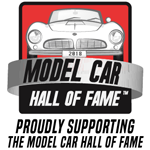 Also, you may notice both Large Charge and the Auburn have the 30th logo stamped on the cars themselves, although I don’t see it on the Sweet 16. Thanks for the question! Thanks. I think I saw a 30th anniversary replica of the 1972 Side Kick for sale around 1998 (it was in magenta or purple, I think) but I didn’t buy it because the outer box was very damaged. I regret it now, because Side Kick is one of my favorites and they haven’t made many of them recently.